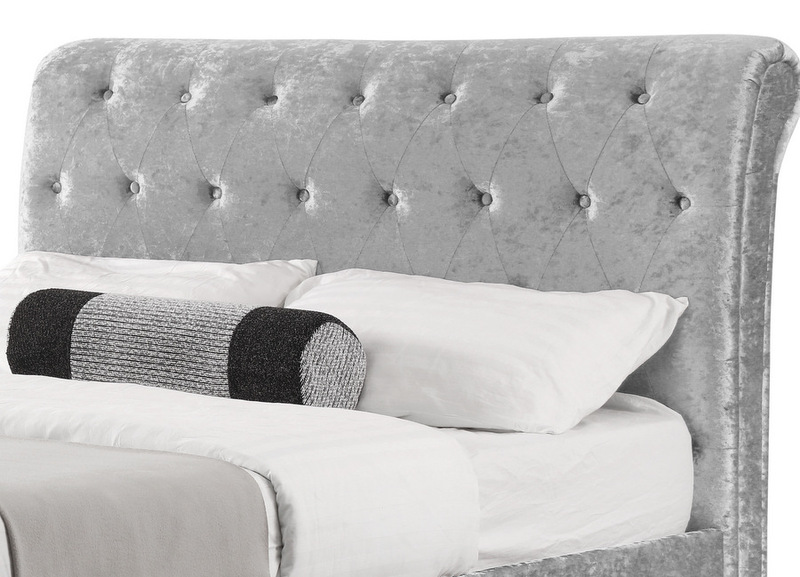 Classic scroll bed design upholstered in a sumptuous silver crushed velvet. Deep button detailing adds to the allure. 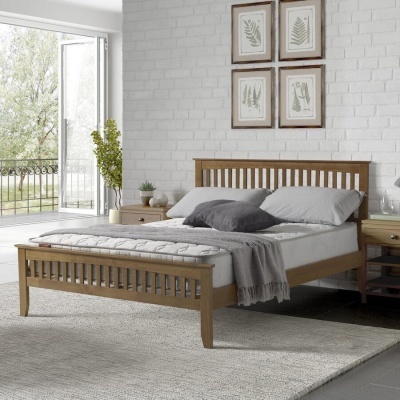 The Verona double bed looks stunning placed in modern or traditional bedrooms. Each side of the bed you will find a good sized storage drawer. Ideal for keeping out of season clothes stored away. The drawers have been mounted on castors for ease of use. Built to last with a hardwood frame. Sprung slatted base ensures extra comfort and prolonged mattress life. Fits a standard UK double mattress. Each of the two large storage drawers measure: H17.5 W115 D57 cm. Available as the bed frame only or with a choice of mattress. Deluxe mattress: A stitch quilted, oyster damask ticking mattress with a semi orthopaedic comfort level. 13.5 gauge bonnell spring unit. Rod edge support, 900 gsm spring insulator pad. 600 gsm polyester filling. Quilted border with air vents. Made in the UK. Height 23 cm. Elite mattress: 1000 pocket spring unit with a hand tufted luxury damask cover with quilted border and air vents to increase air flow and breathability. 1000 gsm spring insulator pad. Made in the UK. Height 25 cm. Memory pocket 1000 mattress: A 1000 pocket spring unit with an added one inch layer of Memory Foam on the top surface. Hand tufted luxury damask cover with a quilted border and air vents to increase air flow and breathability. 1000 gsm spring insulator pad, 800 gsm polyester filling. Made in the UK. Height 25.5 cm. Flat packed for self assembly. Full instructions included. 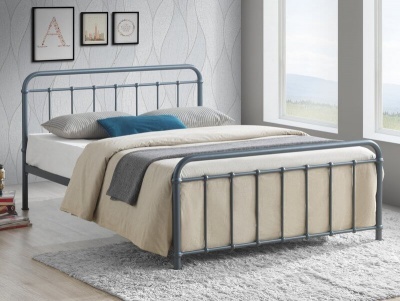 No need to struggle, the Verona bed frame is delivered by a two man team to a room of your choice. If the delivery team believe that damage to the product or premises, or injury to themselves or others, may occur whilst delivering to your chosen room they will leave the goods in a safe and convenient place. Delivered in four boxes plus a wrapped mattress if purchased. Part of our collection of bed frames. This item will be delivered using a two man delivery service, to the room of your choice. You will be contacted to agree your delivery date. A time slot of either AM (7:00am - 12 noon) or PM (12 noon - 6:00pm) Monday to Friday (excluding Bank Holidays) will be given. Somebody will need to be available to sign for your order upon delivery. We aim for 2 man deliveries to take place within 10 working days. Extreme weather and other factors outside our control can extend the delivery time on rare occasions. If for whatever reason you want to return your purchase to us you have 14 days from the day of delivery no questions asked. To ensure a full refund please ensure the item is kept in its original condition, this means unused, to help you achieve this we recommend keeping the packaging and labels until you have decided to keep the item. You will find full return details in your order confirmation email.